This collector's edition enhanced EP features new track "Scars In Black" plus a message from Metal Mike, screen savers, photo gallery and music video for "Speak The Name". Awesome package. Features same recording line-up as the classic Metal For Life album. 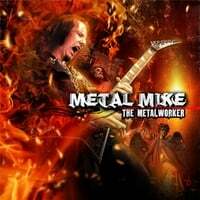 4 music tracks in total with 3 taken from the Metal For Life album. This CD comes signed by Metal Mike.